We are so pleased with our shutters. They provide the privacy and stylish good looks that compliment our new home. Thank you so much for your comments Alyson. Those shutters look great! I will pass this feedback on to the team involved in your order. Thank you for your kind comments Rosalind. This will be passed on to all involved in your order. Thank you for your feedback, this will be passed on to Gillian, and our installer. We replaced all the blinds in our house from the small to the large windows. The blind we selected was Sheer Elegance and the results are outstanding. Thank you for your photo John. Sheer Elegance blinds really do transform a home. We are glad we could help, and thank you for choosing Franklyn. We were impressed with the professionalism shown by Franklyn in their showroom, and by the efficiency and friendliness of the installer. We will pass on your feedback to showroom staff and all involved in your order. Thank you for your comments Barbara. 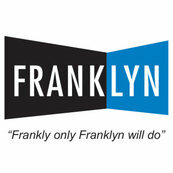 Franklyn takes pride in its professionalism and excellent customer service. We are so pleased you are happy with your wire-free motorised roller blinds.